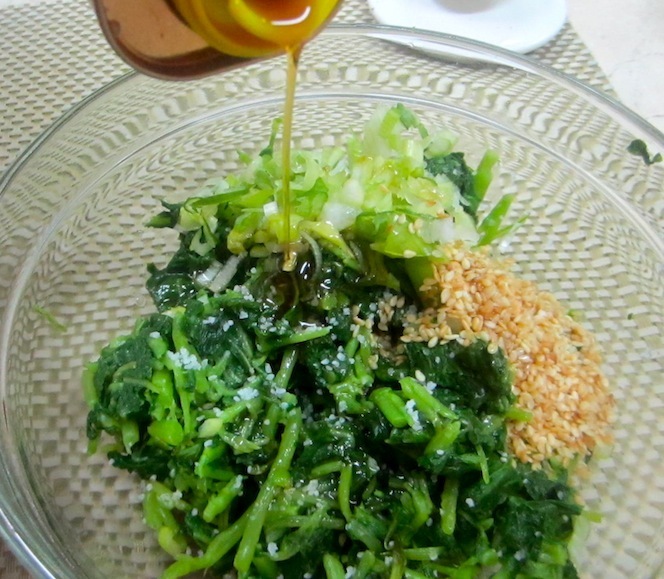 Here’s the recipe for the Korean Spinach Salad. Real easy! Hope you like this. Will definitely post the other dishes served that night. I still need to jot it down. Hehehe. 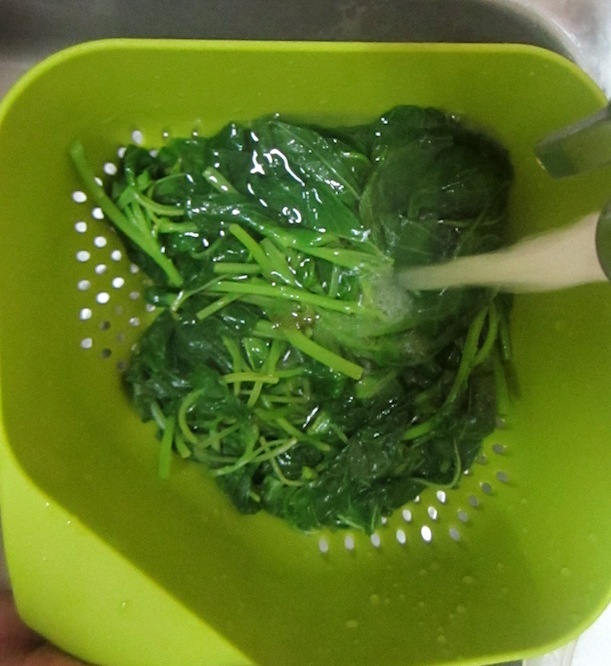 Step 1: Wash the spinach well and set aside. 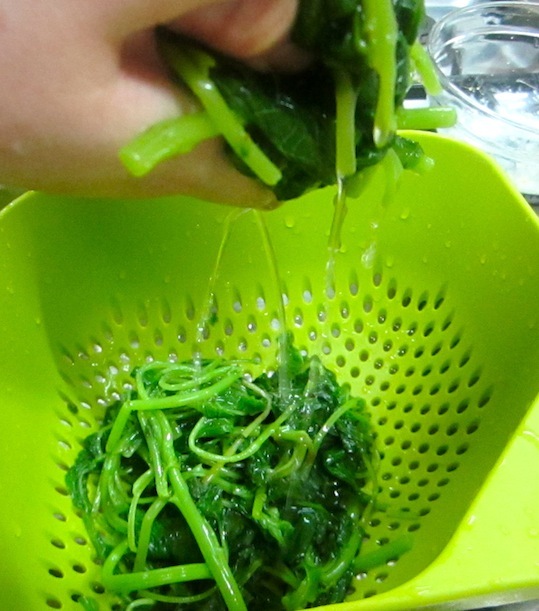 I like to use the Taiwan Spinach because the stems/stalks can be used since they are tender. I purchased them at the Market Market grocery. 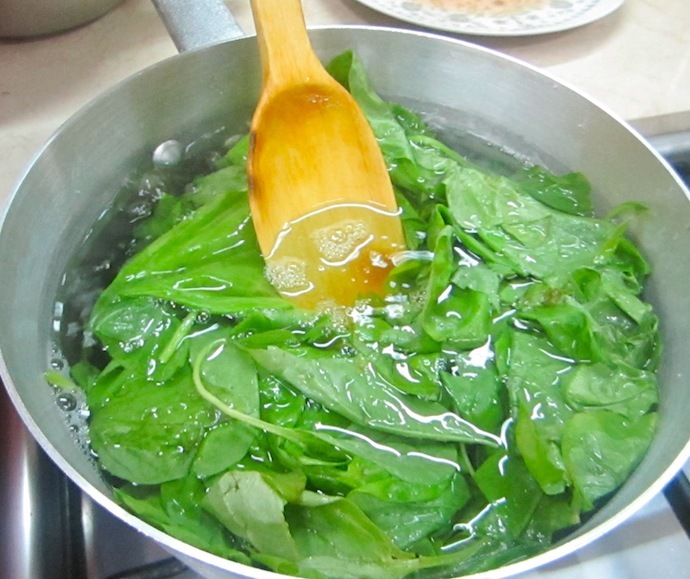 Step 2: In a saucepot, bring water to a rolling boil. Add 1 Tbsp rock salt. 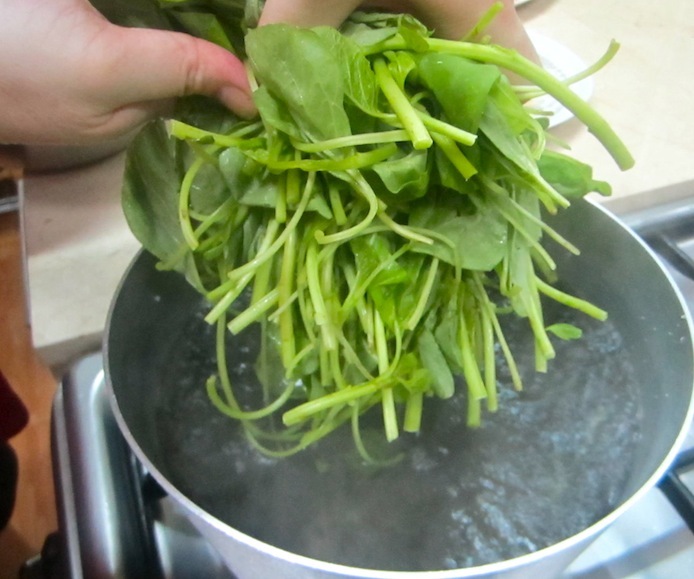 Place the stem side down first and boil for about 30 seconds. 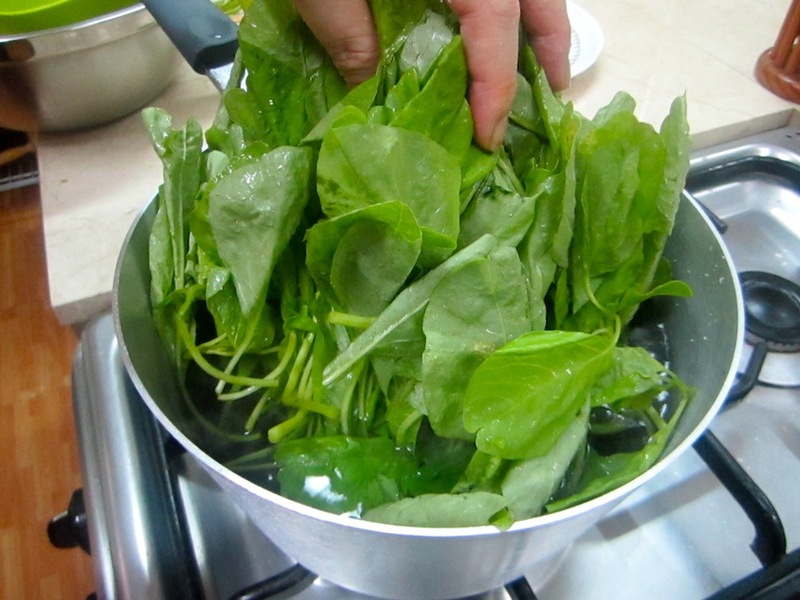 Add the rest of the spinach and boil until slightly wilted. 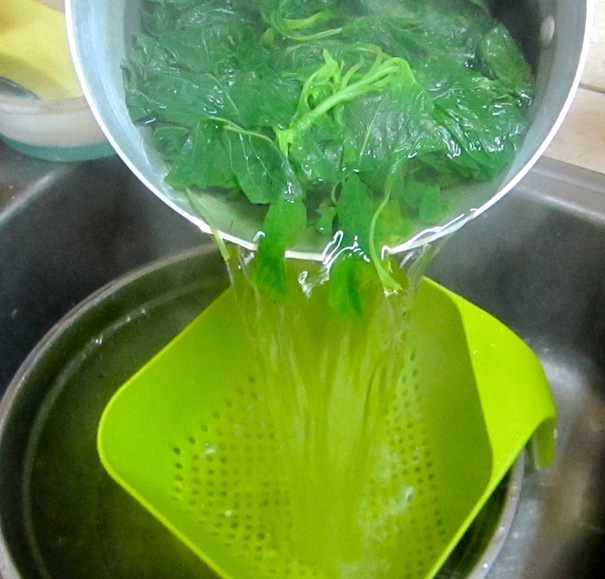 Drain and refresh with water until cool. Squeeze out all the liquid. 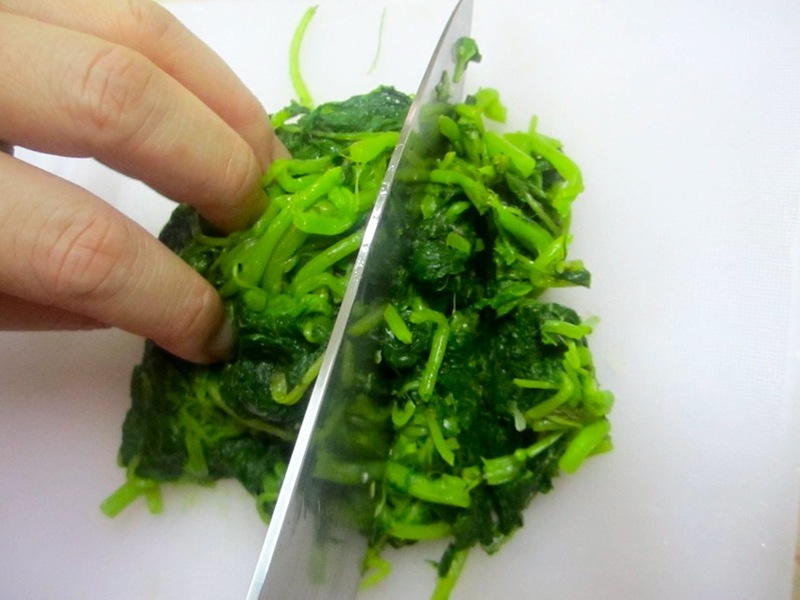 Roughly chop spinach and set aside. Oh by the way…. 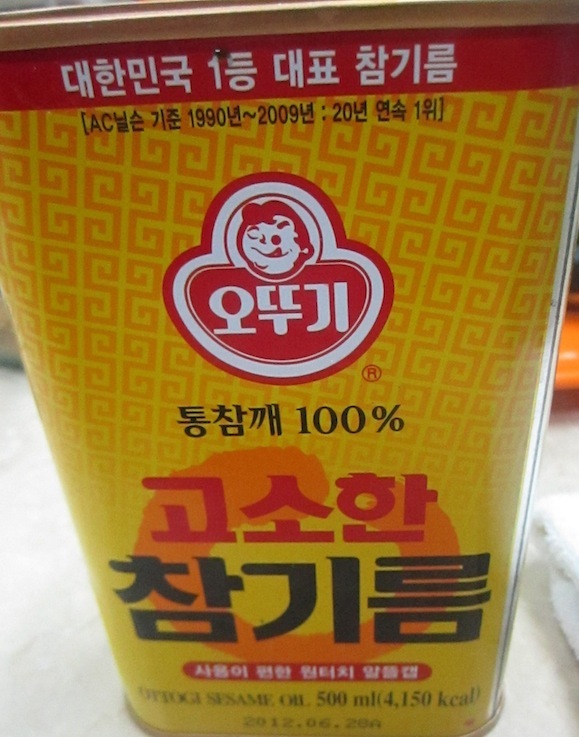 this is the sesame oil I used. This is available in any Korean grocery. This was awesome as was every single dish you served that night! 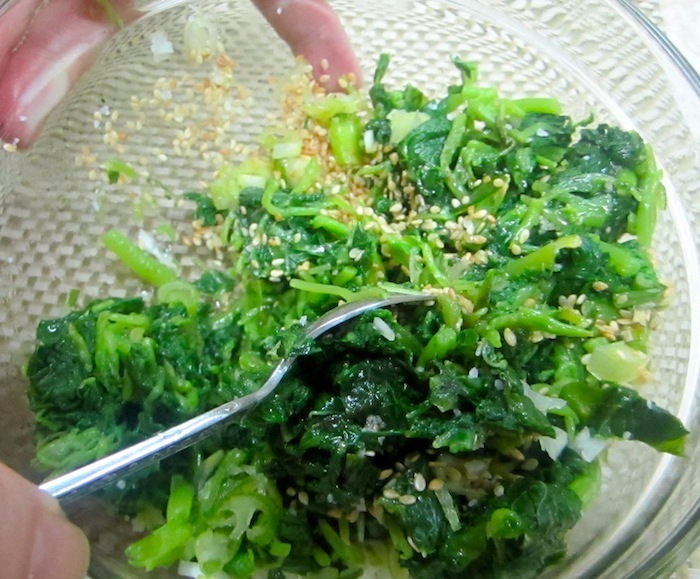 I am so craving for a repeat of the same dishes! Thanks my dear sweet friend! The food was great but the company was even better! where’s the post for the spicy chicken and beef? can you make it saksak in quesadillas with s’piggy. thanks. One at a time, Pat. Hehehe 😛 I’ll probably post the chicken and beef soon I have to take photos of it first! I’ll plan a dinner at home soon!